Enjoy luxury loft living only steps from the Financial District. The lofts at 210 South Street feature concierge service, hardwood floors, whirlpool tubs, marble bath and fitness center. The Fort Point Channel’s newest luxury addition, FP3 sets a new standard in elegant, loft living. A stone’s throw from Downtown, FP3 Residences features 97 stunning homes in an eight-story oasis. This industrial-chic building is the gem of the West End. Stunning views of Downtown and the Harbor Islands can be seen from wide, modern windows. Gateway Terrace is a vibrant loft development. Inspired by the terrace homes of London, these unique lofts feature high ceilings, outdoor space and European style kitchens and baths. 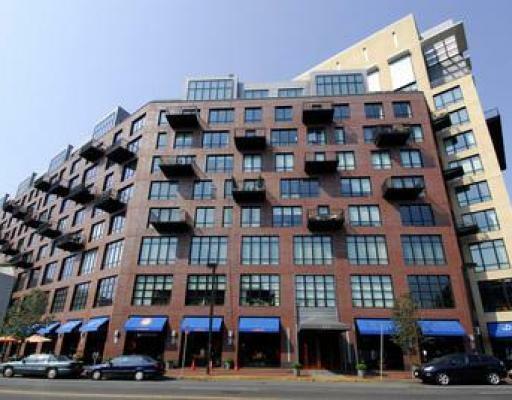 Great loft development in booming Seaport District. The development contains 42 lofts. 881 East 1st Lofts offers large space, parking and magnificent city views. Fort Point Place offers 117 unique lofts in the booming Seaport District. Finishes include exposed bricks and wood beams give this loft development a great feel. 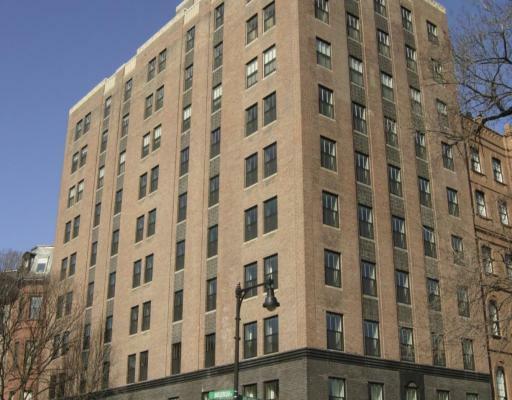 The Harrison Lofts offers 39 oversized loft condominiums. Originally sold as raw loft condos, but today each owner finished their loft the way they like. Lofts at 950 is a new vibrant loft development in up and coming Dorchester neighborhood. 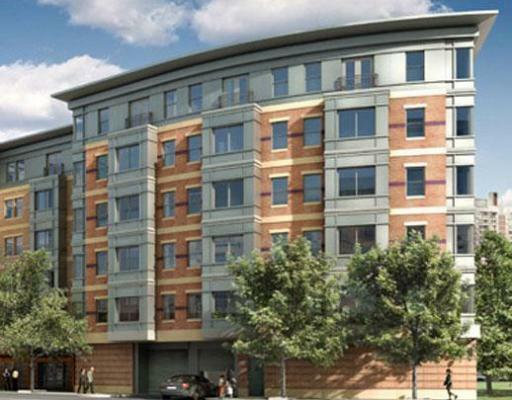 This boutique loft development contains 13 lofts at very attractive prices. 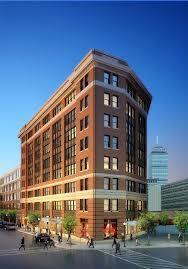 Porter 156 (Atrium Lofts) is the first loft development in up and coming East Boston. Originally a bra factory, Porter 156 is now a phenomenal loft residence. The 27 Lofts development is a unique lofts development located in the up and coming SoWa district of vibrant South End. Wilkes Passage is one of the most sought after loft developments in the South End. Wilkes Passage was built in 2002 and offers a large loft style space to its residences. Laconia lofts is a true loft development; it is the first new construction of artist lofts condominiums on the East Coast. Both townhomes and residential lofts are for sale within ArtBlock. Distinct in configuration and size, each home is consistent in offering thoroughly modern finishes and detail, in keeping with the resident community of contemporary artist. 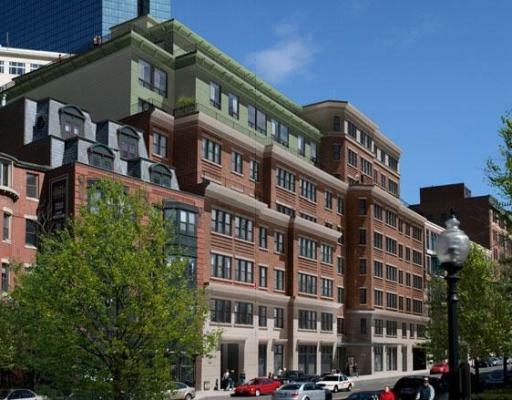 After the success of 360 Newbury Street, its developers started on this new project, a stunning loft-style condo building located in the highly sought after South End, it's also just steps from Boston's Back Bay. The units are sunny and bright, boasting breathtakingly high ceilings, state of the art appliances, and dark hardwood floors. This building embodies all the elegance and character of loft-style living. Amenities: Dishwasher, disposal, microwave, washer/dryer, carpeted floors, hardwood floors, air conditioning, cable/satellite TV, city views, elevator, doorman/concierge, outdoor space, garage parking, cityand skyline views. Located in the Fenway, Audubon Park is a brand new construction hosting 53 studio, one-, two- and three-bedroom luxury condos.The beautiful residential units are equipped with fine fixtures including Fischer Paykel and Bosch appliances, granite counters, bamboo flooring, and some units have balconies. 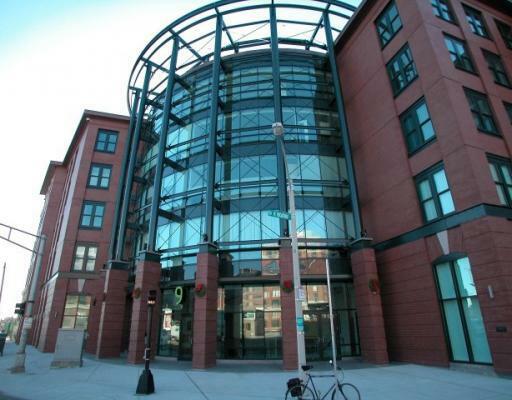 It is close proximity to many of Boston's attractions including Longwood Medical Center and Boston University. Amenities: balconies, dishwasher, disposal, microwave, carpeted floors, hardwood floors, air conditioning, cable/satellite TV, city and skyline views, elevator, new construction, valet parking. 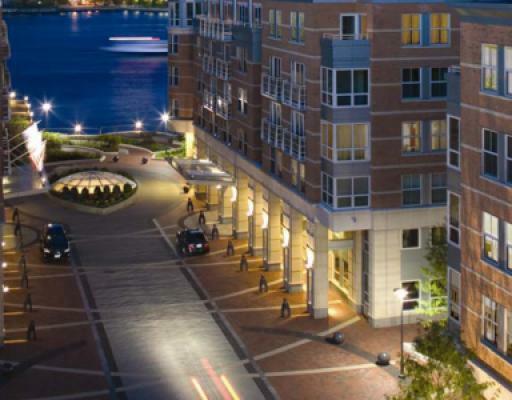 Battery Wharf, located on the Boston waterfront as you head into the North End, offers homeowners sweeping views of the harbor from balconies and floor-to-ceiling windows. With hotel services and amenities onsite there is a fitness center, luxury spa, valet garage parking, and deeded storage to complete a whole wish list. 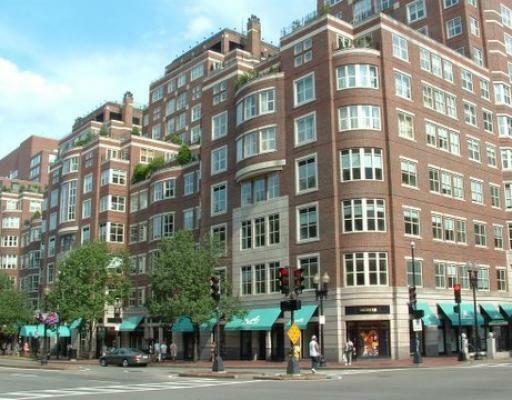 With one of the most ideal locations of all Boston luxury buildings, The Belvedere is in the heart of Back Bay, in the midst of all of the attractions of the area, including Copley Square, Newbury Street and The Prudential Center. The building has only 61 units on eight residential floors, and each is equipped with luxurious fixtures. The building's residents have access to its private library, exclusive dining room and kitchen for private parties, and room service. The building's services also include a choice of self or valet parking in an underground garage, 24-hour doorman and concierge as well as a roof terrace with stunning, sweeping city views and a wonderfully manicured courtyard. Amenities: balconies, dishwasher, disposal, microwave, washer & dryer, carpeted floors, hardwood floors, air conditioning, cable/satellite TV, elevator, 24-hour doorman and concierge, outdoor space, garage parking, valet parking, roof deck, library, room service available. 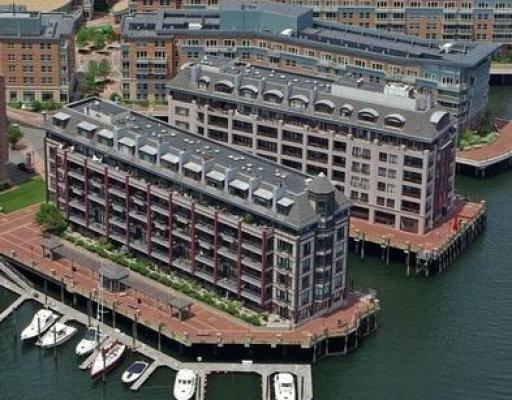 Burroughs Wharf has been the destination for luxury living on the Waterfront since it was built 20 years ago. Its units are larger and mostly set up as duplex and triplex, all with oversized windows flooding the space with natural light and unparalleled views of the water. It has safe underground parking, 24-hour security, and a doorman. Residents have privacy while also being close to the excitement and entertainment of the North End and downtown Boston. Amenities: Waterfront, Private residential entrance, 24-hour security, underground valet parking, balconies, dishwasher, disposal, microwave, carpeted floors, hardwood floors, air conditioning, cable/satellite TV, water views, elevator, new construction. With amenities and services that set it apart from other luxury buildings, the residences at The Clarendon are redefining luxury in the Back Bay. With an Equinox Gym and an in-house organic grocery store with optional delivery to the units upstairs, in addition to its gym, lounge and concierge, this building truly offers unparalleled conveniences. All of the 104 state-of-the-art units feature vast windows, most with sweeping views, walk-in closets, gas ranges, garage parking and in-unit washer and dryers. 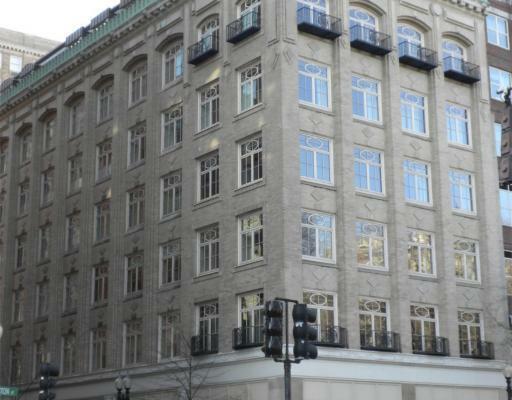 The Clarendon is one of only a handful of buildings in Boston that will be registered with the U.S. Green Building Council. Amenities: Balconies, dishwasher, disposal, gas range, microwave, washer & dryer, carpeted floors, hardwood floors, air conditioning, cable/satellite TV, elevator, garage parking, valet parking, pre-construction, city and skyline views, State-of -the-art gym, in-house grocery, lounge, 24-hour concierge. 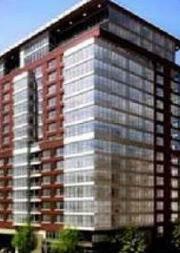 This luxury building located in Boston's Financial District is a new construction with waterfront views. Units are extremely sought after, as they are elegantly equipped with bamboo floors, stainless steel and granite, large windows and impressively high ceilings. The building offers 24-security, concierge and valet parking with some of the units. It is located across the street from the Hilton Hotel and therefore residents have access to the finest hotel services such as room service and maid service, at an additional price. 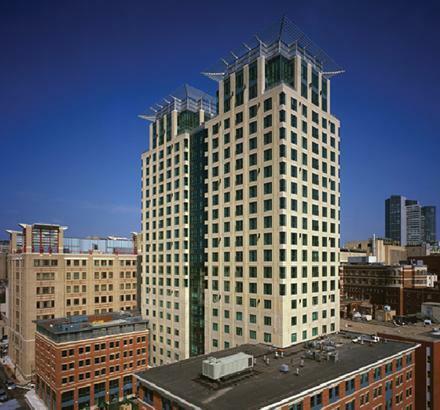 This 14-story building is just steps from the best that Boston has to offer. Amenities: Waterfront, washer & dryer, hotel services, 24-hour security, valet parking available, garage parking, balconies, dishwasher, disposal, microwave, carpeted floors, hardwood floors, air conditioning, cable/satellite TV, water views, elevator, new construction. 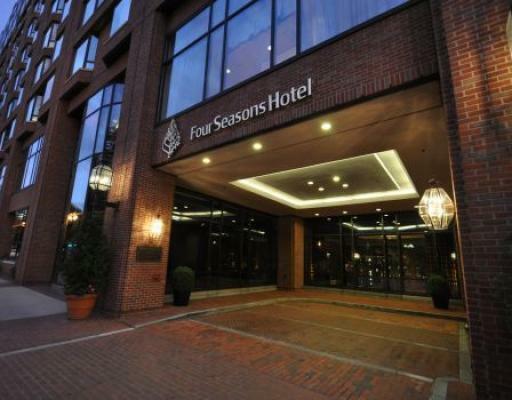 Four Seasons Place is one of the most coveted addresses in Boston. Units rarely go on the market because the turnover rate is so low. 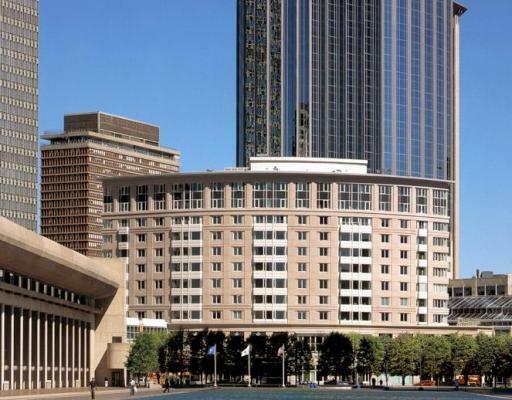 The premier hotel amenities are unparalleled and include all the hotel services along with a Fitness Center, Hotel Spa, Large Lap Swimming Pool overlooking the Public Garden, Valet Parking Service, views of the Boston Commons, the Boston Public Garden and Beacon Hill and much more. 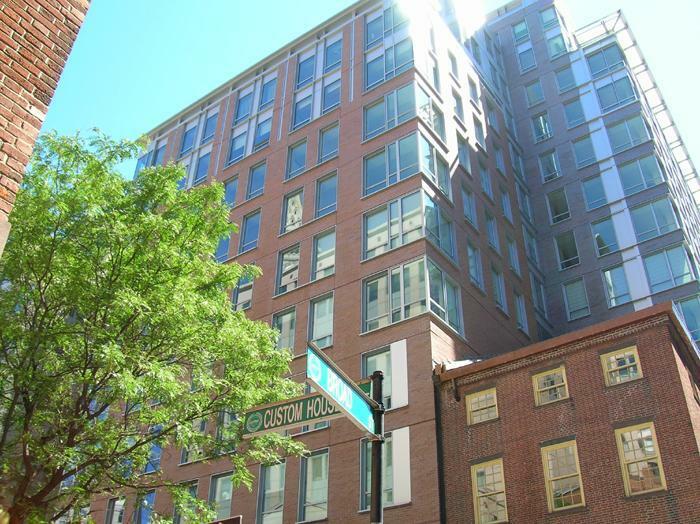 The 95 units in this building are 1- to 4-bedroom penthouses, and are the standard of luxury living in downtown Boston. Amenities: washer & dryer, hotel services, 24-hour security, valet parking, balconies, dishwasher, disposal, microwave, carpeted floors, hardwood floors, air conditioning, cable/satellite TV, city views, elevator, pool, fitness center, spa. This is one of the most luxurious buildings in Boston, and is perfect for people who crave the full-service luxury condo lifestyle, but like the privacy of the feel of a single family home. The 9 units in this boutique condo conversion are breathtakingly large, all are 3000+ square feet, and finished with the finest European fixtures possible. 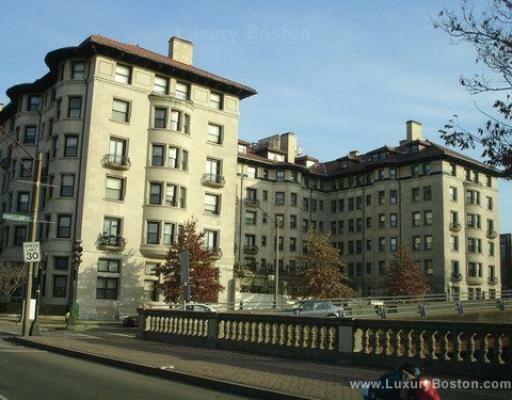 Located right on the Boston Public Garden, this building is just steps from Newbury. It has 24-hour concierge services, garage parking and a wonderful roof deck. Amenities: outdoor space, garage parking, city and skyline views, roof deck, garage parking, 24 hour concierge. 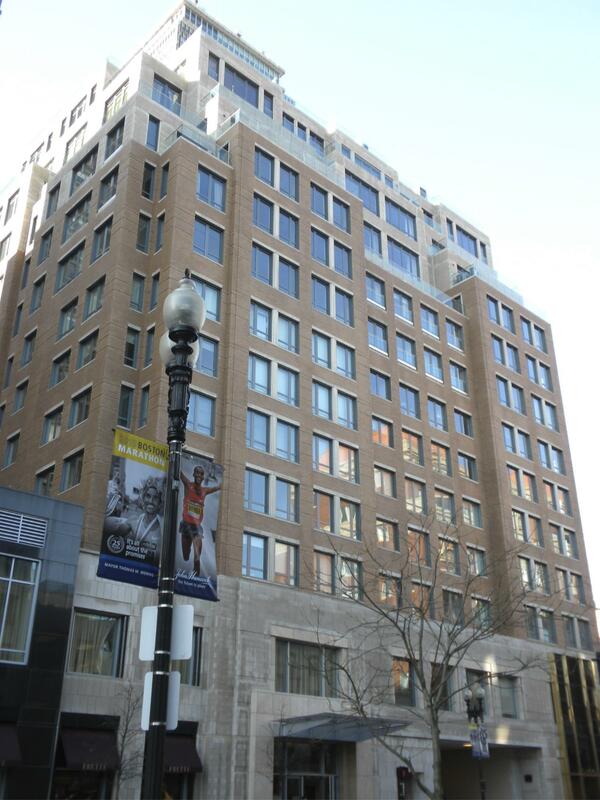 The Metropolitan is a luxury high-rise building that is full service and only a few blocks from the Back Bay and the Boston Common. 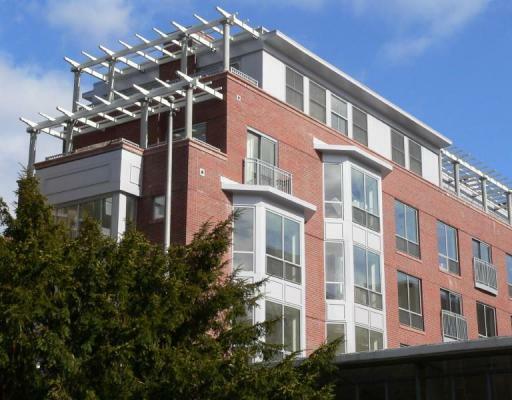 Only steps away from the Tufts Medical Center, the Metropolitan is popular among people in the medical field. 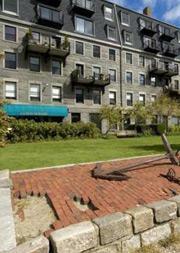 The condos feature contemporary kitchens and large windows with some of the best views in Boston. Amenities: balcony, dishwasher, disposal, gas range, microwave, washer & dryer, carpeted floors, hardwood floors, air conditioning, cable/satellite TV, elevator, 24-hour doorman and concierge, outdoor space, garage parking, roof deck, water and city views, new construction. 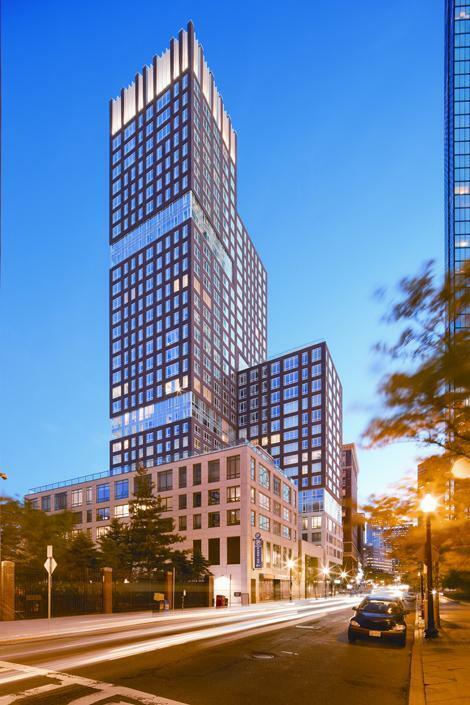 With the same developers as the Ritz Carlton Residences, this building is raising the standard for luxury living in Boston. Located by the Boston Common, many units feature floor to ceiling windows, and all units boast breathtaking views, an in-unit washer and dryer, cherry hardwood flooring, granite, stainless steel.There are subzero refrigerators in the kitchens, and marble in the bathrooms. 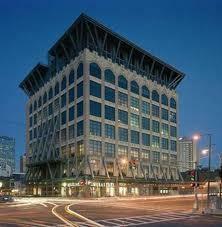 The building has a fitness center with a sauna for residents, in addition to a clubroom for socializing and relaxing. Amenities: washer & dryer, gas range, 24-hour security, garage parking, valet parking, balconies, patio/deck, dishwasher, disposal, microwave, carpeted floors, hardwood floors, air conditioning, cable/satellite TV, new construction, elevator, fitness center. With stunning views in every direction, this building is one of the premier developments on the Boston Waterfront. 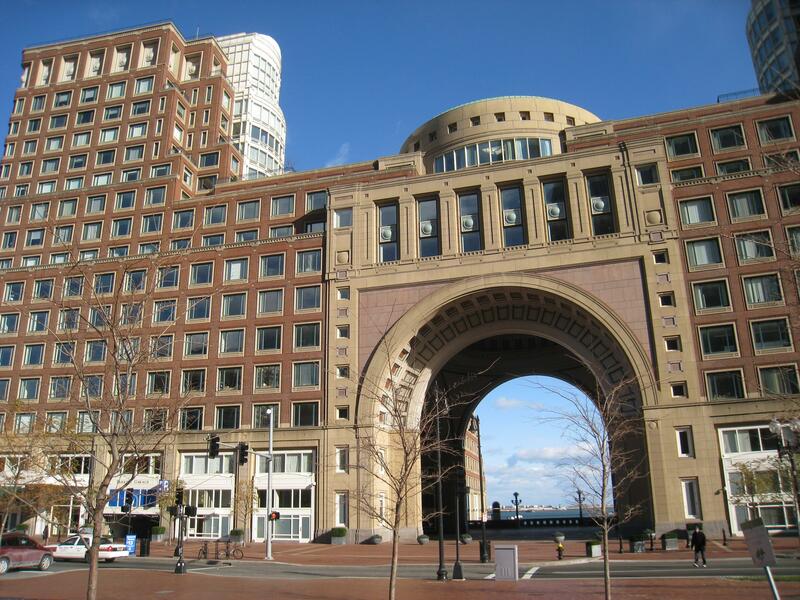 It is attached to the Boston Harbor Hotel, so residents receive 5 star hotel services, in addition to a gym and underground parking. Amenities: balcony, patio/deck, waterfront, dishwasher, disposal, washer & dryer, carpeted floors, hardwood floors, air conditioning, cable/satellite TV, fireplace, hotel services, elevator, doorman/concierge, gym, outdoor space, balconies, garage parking, water views, pool. Located in the Back Bay, right in Copley Square, this luxury doorman building is home to some of Boston's finest residences. Close to famous shopping and fine dining, Trinity Place offers valet and guest parking for the residents, a gym and onsite management. The units feature large windows, hardwood flooring, granite counters in the kitchen and marble tile in the bathroom in addition to an in-unit washer &dryer. Amenities: balcony, dishwasher, disposal, microwave, washer & dryer, carpeted floors, hardwood floors, air conditioning, alarm, satellite TV/cable, elevator, 24-hour doorman and concierge, garage and valet parking, new construction, city views, onsite management. 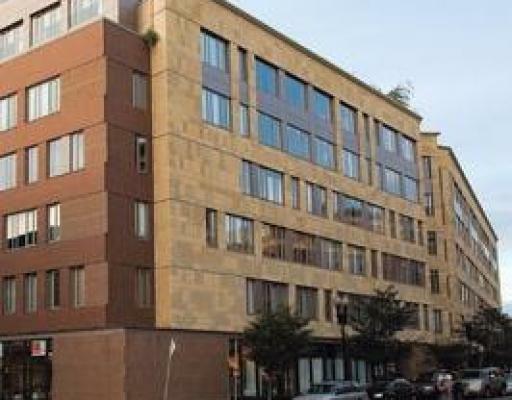 Located in the SOWA district, one of the most fun and upcoming neighborhoods in Boston, this building is very pet friendly, located next to one of the South End's only dog parks. It is also next to attractions such as restaurants, lounges and a sports club across the street. It offers more luxury than any other building in the area with its breathtaking views, 24-hour concierge and security and parking garage. The loft-style condo units are equipped with high-endfixtures, and some boast a private outdoor terrace, perfect for enjoying dinner and drinks. Amenities: dishwasher, disposal, gas range, microwave, washer & dryer, hardwood floors, air conditioning, elevator, 24-hour doorman and concierge, outdoor space, parking, balconies, pet friendly. The Modern 2.0 is now on the market! The ideal blend of post-loft living and traditional charm. Sleekly appointed one & two bedroom homes feature contemporary interiors, including espresso flooring and floor to ceiling windows, capturing incredible light and breathtaking views. Spectacular new construction in Boston's Financial District houses two loft-style units and two duplex penthouses in historic building.